However, a new app called Face For Wear has hit Google Play that fixes the problem for them. 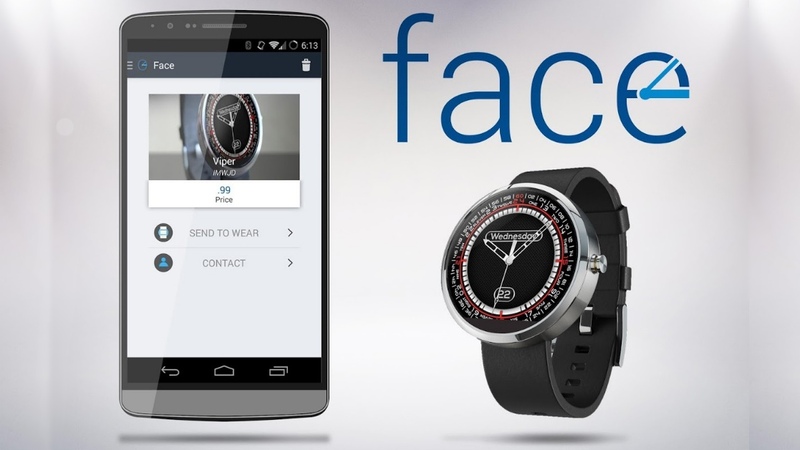 Face For Wear is a smartphone app enables you to create your own watch faces for your smartwatch – or download other peoples' efforts. The app enables you to manage watch faces on your Android Wear device, much like Google’s own app. You choose the design you want and “push” the watch face to your Google based wearable. The Google Play description points out that the app is still “largely a work in progress” so don’t expect a seamless experience. The lack of customisation has been a major bugbear with the smartwatch OS, and Google is rushing to build APIs to enable users to load their own custom watch faces. The beauty of Android has always been its customisability, and a long time before Google had nailed its smartphone OS, the likes of HTC were leading the way with their own skews. And that’s exactly what’s happening here. With around 20 apps now – including the ever-popular Facer – promising fresh watch faces for Android Wear devices, it seems the revolution has started.